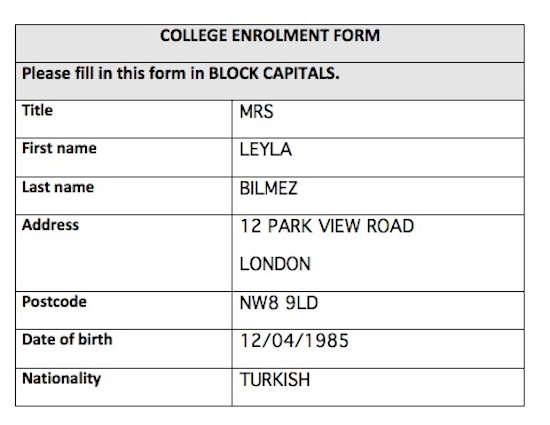 Download the form called 'Your form' below and complete it with your own information. What forms do you need to fill in in English? Write in and tell us! We'd love to hear from you.